This is a pantheon of the Norse (Scandinavian) deities. Each figurine is handcrafted from clay (ceramic) and is about 10cm tall. The pantheon comes with 16 deities and a Rune post. 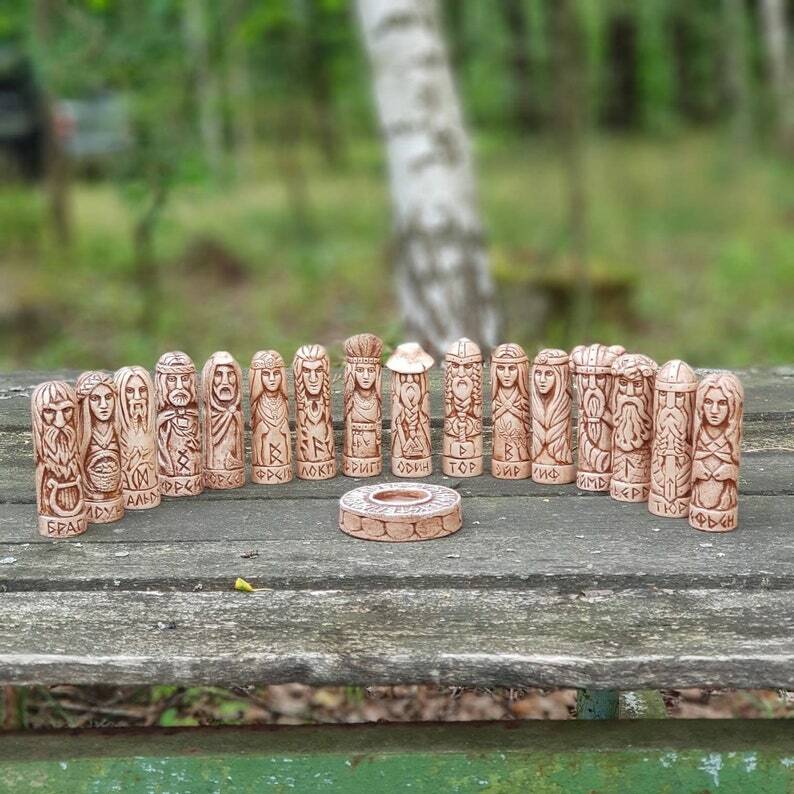 Odin, Thor, Freya, Freyr, Frigg, Loki, Tyr, Sif, Baldr, Bragi, Gefjun, Forseti, Eir, Heimdall, Njordr, Idunn. Absolutely stunning. They are very detailed and are even more than I hoped for. Beautiful work, as usual! And thank you so much for the two extras, my son loves the little carved Santa.